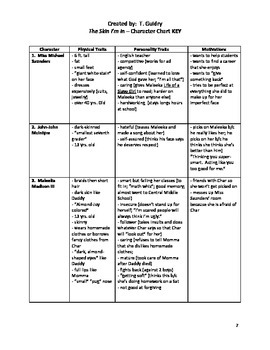 This product is a vocabulary chart to accompany Sharon Flake's novel The Skin I'm In. 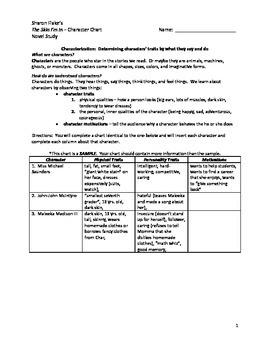 This packet contains a graphic organizer for over thirty characters mentioned in the text. It also includes a key with quotations and citations. This is a great reading strategy to increase comprehension. This activity is aligned with CCSS. I also have daily reading quizzes and a summative assessment for this novel for sale.